One of the advantages of starting a second board game publishing company is that you have previous experience and in particular, lots of previous mistakes from which you can learn (if you didn't you still be running the first one!). I had a lot of successes with Reiver Games and I'm proud of what I achieved, but the errors outweighed the successes over time and they came to define the company and eventually kill it. According to Carol Dweck, how you respond to failures is a key part of your mindset - some people treat failures as judgements on their abilities, others as lessons from which they can learn. I like to think I'm in the second camp, but you never know. When my Multiple Sclerosis diagnosis led to my life insurance paying out I had a choice to make, keep working in full-time employment, running Reiver Games as a hobby in my spare time or invest heavily in Reiver Games and go pro. I chose the latter, far too soon. I had maybe ten true fans, and a whole heap of people who had heard of Reiver Games - enough to be able to sell 300 hand-made games within a year, but not enough to sell 3,000 games through retail channels. I should have waited until I had more experience and a better market presence. This time round I have no plans to go pro - I've a family to support now, I can't afford to go without a salary or take a big pay cut. When you're making games by hand and selling them at conventions and games clubs you've a lot on your side - you're selling the games, and people like to support the little guy or the designer of a game who's excitement about their project is so palpable. When you're selling through retail channels no-one is selling your game. The store will stock it (if you're lucky! ), but it will just sit on the shelf amongst hundreds or thousands of others - the staff won't know how to play and won't be pushing your game over any other game. So your game has to sell itself, whether through hype, word of mouth or shelf presence. A beautiful box will really help here, as it will draw people in to learn more. With both It's Alive! 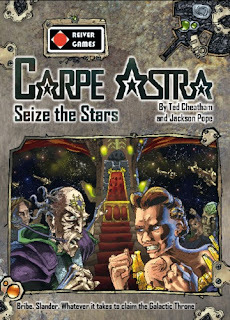 and Carpe Astra I got a friend to do the art, and he did me a great deal, so it was very cheap. But he didn't have board game art experience. I loved the art of It's Alive!, but the box was weak, so the second edition had a new box, which was weak in a different way. The art for Carpe Astra was also weak - especially the box. But when it's a mate doing it dead cheap it's very hard to ask him to redo it, especially when you can't clearly articulate what's wrong with it. This time round I'm not aiming at retail, so I can side-step a lot of this, and I'll be mostly selling the game face-to-face with people who have played it, which makes the box art less critical to its success. If you want to make a living selling board games through retail channels you need to sell a lot of games. Let's say you want to earn £30K. The usual pricing for retail is that you sell to distributors at 40% of retail and aim to get it manufactured at 20% of retail. So your profit is 20% of retail (if you sell them all!). It's Alive! retailed at £15, so my profit should have been £3 per copy (I overspent, it was nearer £1.50). If It's Alive! was the only game I made I would need to sell 10,000 of them every year. That's excluding money for warehousing, attending conventions and advertising. One way to make things easier is have multiple games, that way you can do several smaller runs, and it makes it easier for shops or distributors to place an order with you. To try to get to this point I rushed Carpe Astra out. It had some nice ideas, but it wasn't ready for prime time, and as a result I was left with a lot of games that I couldn't shift. I should have had the balls to delay its release until I though it was ready, rather than rush to be a 'multi-game' publisher. This time round I'm not trying to go pro, so I'm very happy to only have one game on the books at a time, or even none if I've not got the next one ready to go. It's easy to be excited and motivated when everything is going well, less so when sales are slowly tricking in and your bank loan and warehousing costs are draining your bank account before your very eyes. How you perform under those circumstances says a lot about your character and your likelihood of success. I'm sad to say that I lost faith and gave up - I was spending my days largely watching television on one, then two, then six hour 'lunch breaks', supposedly researching game ideas based on my favourite TV shows. I was pretty pathetic and had I manned up and hustled at that point it might have still been possible to turn things around. I didn't and I paid the price. Reiver Games went under. This time round I hope I'm a better man, I've seen what that leads to and know the warning signs to watch out for. The reduced pressure from not trying to make it a salary paying job will also make it less demoralising if things don't go to plan. Nope, I'm not talking about a reprint of the game I published back in 2007 (and again in 2008), but instead Eurydice Games, my second board games publishing company. This has been a curtailed week, I didn't get home until Monday, from a work trip to Massachusetts last week that was book-ended by stays with my parents down in Bristol. Tuesday I was in Manchester for work and then Wednesday I was in Sheffield for my biannual MS check up as part of the clinical trial on which I'm registered. Thursday was my only day in the office because I'd taken Friday off to get ready for a family holiday to The Netherlands which started on Saturday (I wrote this blog post last week and then automatically posted it during my holiday). The other exciting thing about this week is that I collected the printed materials for Zombology from the printers on Friday. I've now got everything I need to hand-craft 200 copies of Zombology. The first order of business when I return from the holiday is to start making and shipping the pre-orders, I don't want to start accepting money until I have the games ready to ship, so making and shipping the pre-orders is a necessary step to complete before I can put the games up for general sale on my website, BGG and potentially other marketplaces. I've spent the last five days in Massachusetts for work - it's somewhere I visit a few times a year as our corporate headquarters is based there. Despite being a fairly frequent traveller I'm pretty bad at it and I suffer from jet lag every time. But being an optimist I view it as an opportunity, rather than a hindrance. While in the US I woke around 4am every day (except the last one when I was finally on US time, just in time for my return to Bristol). I used the jet lag hours of 4-7am to work on Eurydice Games, cracking on with a bunch of tasks that have been sat in my todo pile for quite a while now. I had hoped to be able to do a few things that required spending money, but the business bank account wasn't opened until I got to the US and my bank card was delivered to my house while I was away, so I'm not able to spend any money until I return home on Monday. That didn't stop me making progress though. I've done a load of work on the website (nearly finished!) and also tweaked the Zombology artwork, ordered another proof with the new art and made a laser cutting file for my new dexterity game idea. 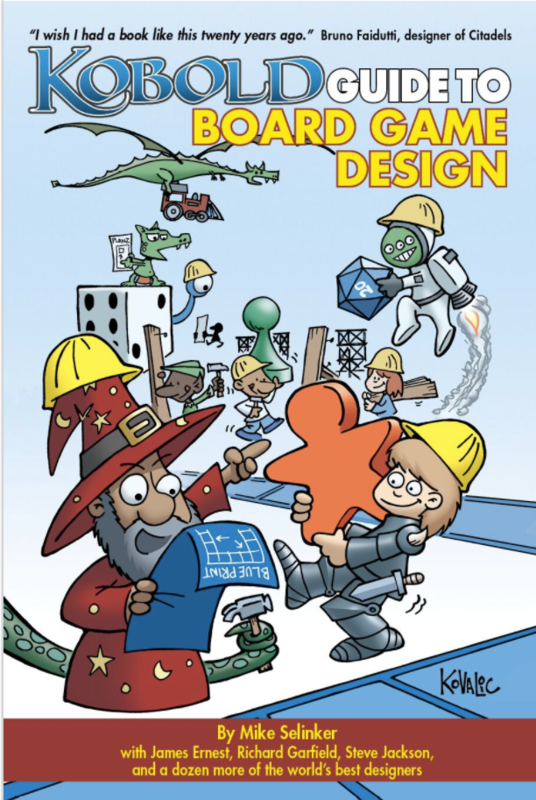 In addition, I've written a couple of blog posts and finished reading the Kobold Guide to Board Game Design, which is excellent - I highly recommend it. It's a series of essays written by really experienced game designers, developers and editors providing really sound advice from their years of experience. Several of the essays made me think about games design in a different way, so it was a very worthwhile read. This week I've got a lot of train travel (more opportunities to make progress!) and then we go on a family holiday to The Netherlands at the end of the week during which I'll be focusing on my family and will make next to no progress on anything. Hopefully I'll get a few things done before I go! I'm writing this blog post in the Departure Lounge of Bristol Airport, shortly before a work trip to Boston that will eat up the whole of the coming week. Why Bristol? We came down here for a school friend's party and spent the weekend with my parents (I'm coming back here afterwards and The Wife and The Daughters are staying the week). So I'm away from home for 11 days. That gets in the way of a whole bunch of Eurydice Games things (I can't make games while on the road!) but it isn't a total wipeout as I'll be awake with nothing to do during the jet lag hours of 2-6am while in the US. I'm planning to spend those hours finishing the first version of my Eurydice Games website, tweaking the Zombology files a little before ordering the print run and doing a laser-cutting file for a prototype of a new game idea I've had. There was a problem with the cards (printed on the wrong stock), but the box and the rules were fine and having those done, in combination with the cards from the previous version, meant I could price up shipping costs (one of the last remaining unknowns). I also told HMRC that I was starting a company and applied for a company bank account. I was hoping that the bank account would be completed before I left so I could order a few things while in the US, but it's not completed yet, so it'll all have to wait for my return unfortunately. Progress in August is going to be less impressive than last month, especially since we're off on holiday for a week shortly after we return from Bristol.